I have such a fondness for this next blogger. Krystal from Polish Galore is crazy connected. If it's happening in nails, she knows about it! And I'm not surprised...she's been blogging about all things polish since 2009! But what I love most about her is HER. I met Krystal in person at Cosmoprof North America last July. She showed me the ropes with open arms and I credit my awesome experience at the event to her (and Beauty Judy too!). She also happened to be WITH me the moment I met Alanna from the Polished Girlz! Krystal doesn't do a lot of nail art, but she jumped at the chance to help. I'm so honored to have her participate in this series. Thank you, Krystal...for everything! 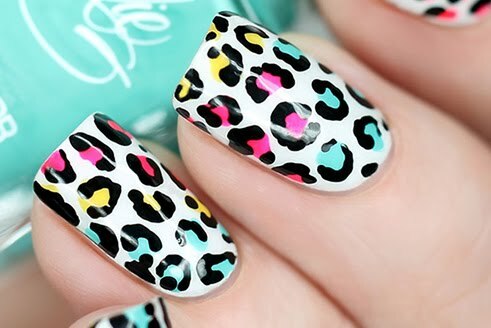 Krystal's post means $10 from me to the Polished Girlz! 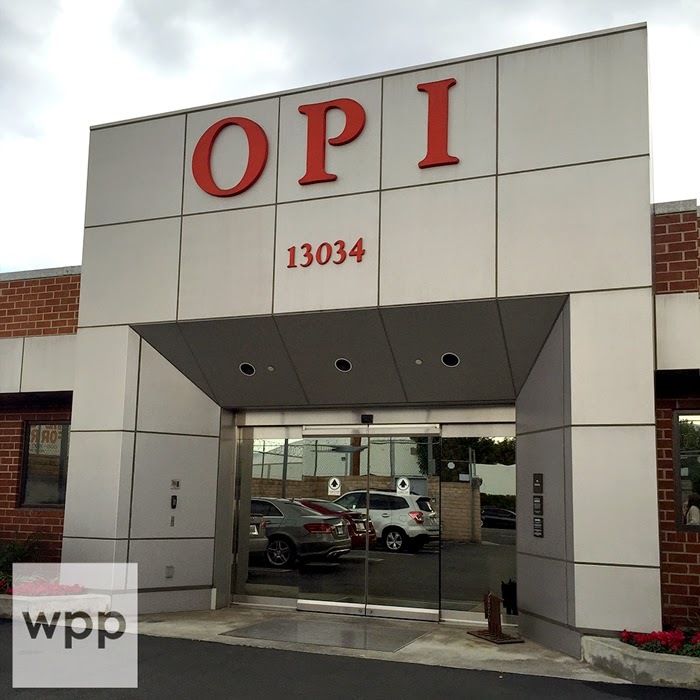 If this is the first post you've read in the WPP "Blogging for a Cause" Guest Post Series...pop over to the intro post here to see what an amazing organization each of these bloggers are supporting with their participation. This past summer at Cosmoprof North America, I was standing with Leslie of work/play/polish when Alanna, founder of Polished Girlz walked up. I didn’t even realize at the time how big of a moment that was – that the teenager in front of me with a shy smile and some amazing blinging nails was the driving force behind such a fantastic organization. I listened to her Mom, beaming with pride, talk about all the wonderful things that Polished Girlz had accomplished in just the last few months and I couldn’t help but be in absolute awe of how much had been accomplished by someone more than half my age. When Leslie told me about her blogging series “Blogging for a Cause”, I was very excited to read more about the organization that has helped thousands of girls enjoy the magic of polish. 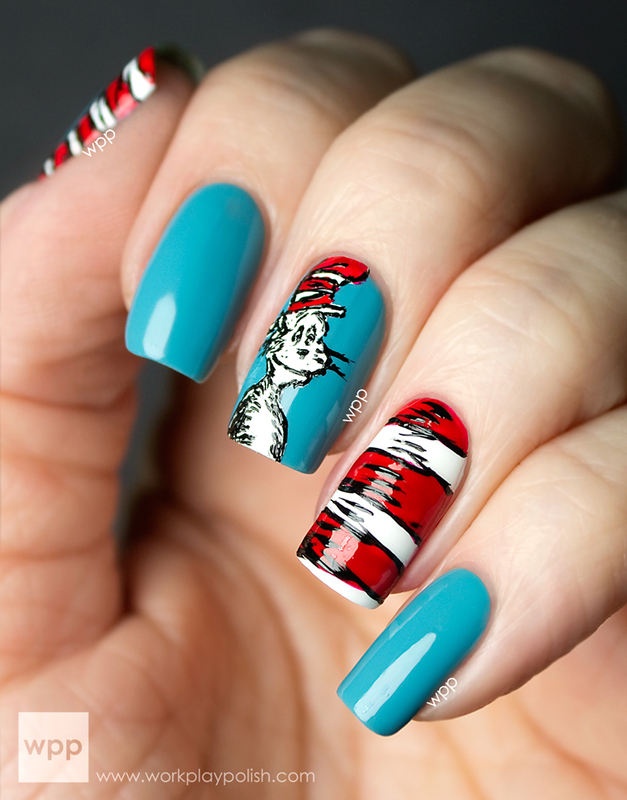 If you’ve read my blog, you know that I’m not the best with nail art but I absolutely love looking at the masterpieces created by others. Today I tried to recreate some nail magic of my own, inspired by two of my favorite nail bloggers. My Simple Little Pleasures was one of the first nail blogs that I read that featured a massive and impressive amount of watermarbled nail art. Not only has she tried it all, she started a YouTube channel to help others recreate some iconic looks. The Nailasaurus has been around almost as long as My Simple Little Pleasures and constantly has flawless nail art designs, especially her gradients which have exploded over Pinterest in the last few years. I decided to combine the two using Pantone’s Color of the Year – Radiant Orchid as my color inspiration. I started with clean nails prepped with Cult Nails Get It On. Next I painted one thin layer of Cult Nails Tempest, a white crème, to have a solid base for both the watermarble and the gradient. 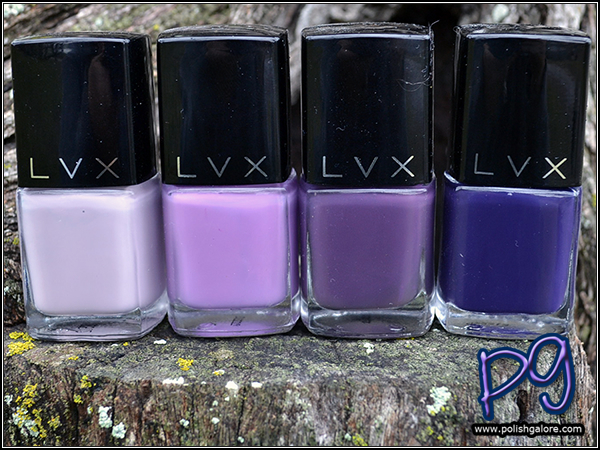 My purple palette came from the wide range of purple crèmes by LVX: left to right – Legendaire, Azalea, Aubergine, and Indigo Bleu. 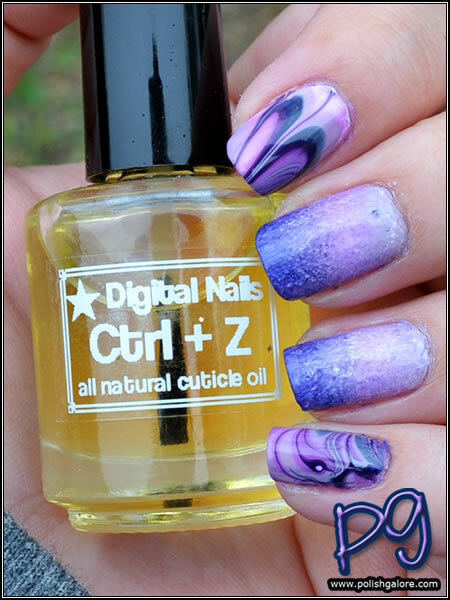 I topped all nails with Digital Nails Ain’t Nobody Got Time For That ultra fast drying top coat and used Digital Nails Ctrl+Z all natural cuticle oil scented in Lavender. Overall, while my work may not be runway ready, I was really pleased with how easily nail art can be with a little imagination and some great tutorials online.